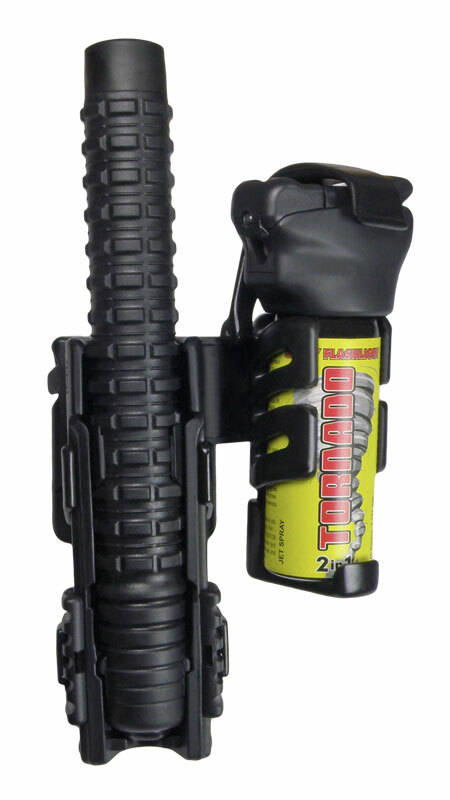 Double swivelling plastic holder consists of the holder SH-21 (for expandable baton of the length 16″, 18″ or 21″) and the holder SHT-04-75.100 (for spray flashlight TORNADO 100 ml) connected by special adaptor. Advantage of this solution consists in saving the space on the belt. Both holders rotate in respect to the belt simultaneously, while their mutual position remains unchanged. Constant position of the expandable baton and the defensive spray improves orientation on the belt when choosing the appropriate device. The adaptor makes it possible to accommodate easily the holders for carrying on the right or left side. 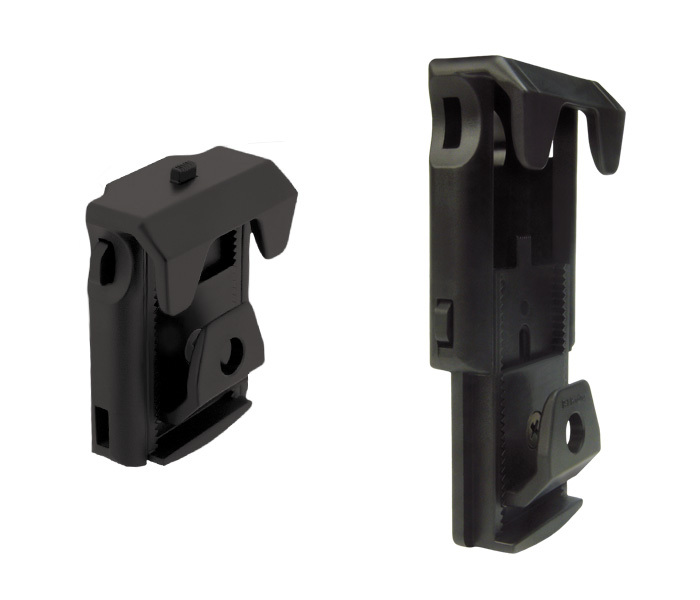 This type of holder uses special patented fastening clip of the type UBC-01, which enables its rapid insertion on a belt with one hand only and without necessity of unbuckling the belt. The holder can be rotated in respect to the belt by full circle of 360 degrees with 16 locking positions.